Crown Lifespace is an exciting and innovative range of furniture designed to enable customers to have every part of their office organised! It is available in over 30 colours ranging from gloss to woods. There are filing drawers in either single or double widths, folder shelves, printer pull out shelves and even pencil trays for your everyday needs. 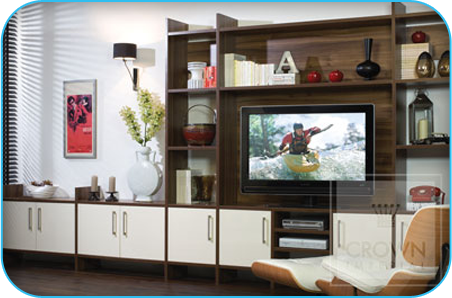 Crown Lifespace also offers Bespoke Living. This is customise LifeSpace furniture to accommodate your television and design a layout to display your favourite possessions. Again available in a range of colours and designs.